SYDNEY (CNS) — Australia’s Royal Commission into Institutional Responses to Child Sexual Abuse kicked off a three-week “Catholic wrapup,” expected to discuss the church’s theology and doctrine, structure and governance, including the role of the Vatican and canon law, and issues like celibacy, confession and more. At the opening session Feb. 6, Gail Furness, senior counsel assisting the Royal Commission, reported on summary data which showed that between January 1980 and February 2015, 4,444 people made allegations of child sexual abuse that related to more than 1,000 institutions. The statistics did not differentiate between allegations and proven cases. The Catholic Weekly, newspaper of the Archdiocese of Sydney, reported that of the 1,880 alleged perpetrators identified, 592 were religious brothers, 572 were priests, 543 were laypeople and 96 were religious sisters. Considered as an overall percentage of those serving between 1950 and 2010, 7.9 percent of diocesan priests and 5.7 percent of religious priests have had allegations made against them, making a total of 7 percent of priests overall, the newspaper reported. The archbishop published phone numbers for counselors and for the church’s safeguarding office and encouraged those bothered by what they heard to talk to their parish priest, or for priests to talk to their superiors. Although most of the charges mentioned in the study were in the 1950s, ’60s and ’70s, Archbishop Fisher encouraged anyone alleging sexual abuse to contact police. Furness reported getting documents requested from the Vatican concerning John Gerard Nestor, a former priest accused of abuse, but said the commission did not receive documents related to a more general response for all cases of abuse in Australia. The commission has criticized how long it took church officials to remove Nestor after allegations of abuse against him. In response to the government’s establishment of the Royal Commission in 2013, the Australian bishops’ conference and Catholic Religious Australia established the Truth, Justice and Healing Council. Francis Sullivan, CEO of the council, told the Royal Commission hearing Feb. 6 he was grateful for and admired those victims to came forward to tell their stories. 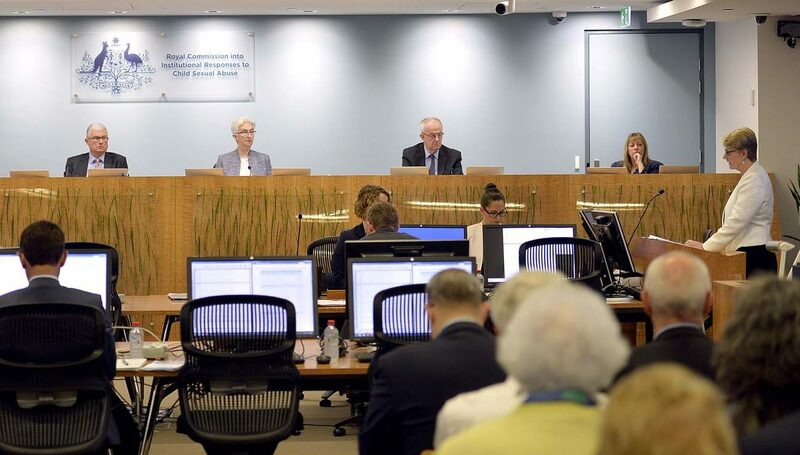 Sullivan, former secretary-general of the Australian Medical Association who has a master’s degree in theology from Loyola University in Chicago, reminded commission members of changes the church in Australia has implemented in response to commission findings. Father David Ranson, vicar general of the Diocese of Broken Bay, said the church must have the humility to learn from the Royal Commission, but noted that recommendations needed to be realistic and feasible. He said the commission would not be able to change the structure of the universal church, but added that the commission’s work needed to be a catalyst for a continuing inquiry within the church itself.